In August the Japanese Empire surrenders. In Indochina, Nationalist seize the cities, in Hanoi, Ho Chi Minh declares the independence of the Democratic Republic of Vietnam. 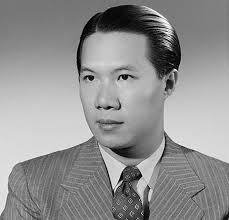 In North Vietnam the Chinese Nationalist Army accepts the surrender of the Japanese Army but allow Ho Chi Minh Government to manage the internals of North Vietnam. In South Vietnam the British Army helps the French regain control, the Viet Minh suffer heavy defeats. A short biography of the last Vietnamese emperor Bao Dai, who will later play a further role in the First Indochina War. To be released on Saturday 11th November.